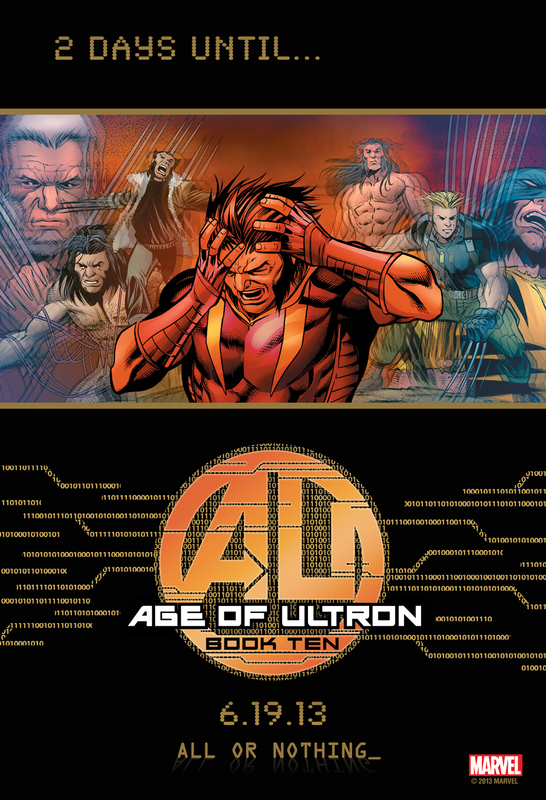 ALL OR NOTHING – Only 2 Days Until AGE OF ULTRON #10! To save the Marvel Universe, Earth’s Mightiest made the most controversial decision of their lives resulting a disaster unlike any they’ve seen before. But with one final shot to make things right, can they turn back the hands of time and restore everything to its former glory? And if they can’t what happens next?! Age Of Ultron #10, by the jam packed, blockbuster creative team of Brian Michael Bendis, Bryan Hitch, Carlos Pacheco, Brandon Peterson, Alex Maleev, Butch Guice, David Marquez and Marvel Chief Creative Officer Joe Quesada, leaves no stone unturned and has an ending nobody can see coming! The Avengers are down to their last resort as they forge the ultimate plan to finally break free from Ultron’s ferocious iron grip. So what are you waiting for? 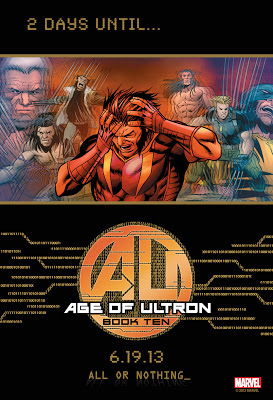 Head on over to your local comic shop and reserve a copy of Age of Ultron #10 -TODAY! 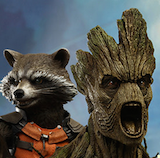 Join the conversation on Twitter using #AgeOfUltron, and don’t forget to follow us at @Marvel [www.twitter.com/Marvel]!